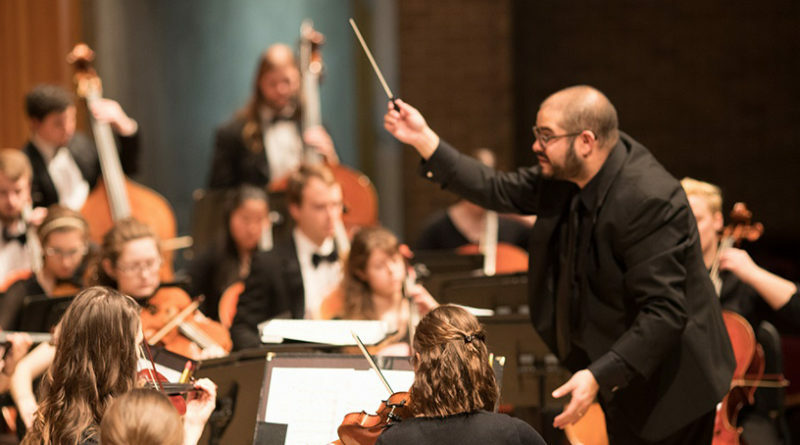 Take a musical trip to Italy as the University of Wisconsin-Stevens Point Symphony Orchestra performs in concert Wednesday, April 24. Titled “Viva Italia!,” the concert begins at 7:30 p.m. in Michelsen Hall in the Noel Fine Arts Center, 1800 Portage St., Stevens Point. The Symphony Orchestra is directed by Andy Moran, assistant professor of horn and orchestral director. The concert will feature the world premiere of “Midnight Sun” by senior music major James Kuzmic and a solo by choral and general music education major Katy Radiske, who won the Alice Peet Faust Concerto Competition. The symphony will also perform “Overture to the Barber of Seville” and “Una Voce Poco Fa” from the “Barber of Seville” by Gioachinno Rossini and “Fountains of Rome” by Ottorino Respighi. Tickets are $12 for adults, $10 for senior citizens, $5 for UW-Stevens Point students, faculty and youth and free the day of the concert for students with a UW-Stevens Point I.D. if not sold out. Tickets are available at the University Information and Tickets Office in the Dreyfus University Center, by calling 715-346-4100 or 800-838-3378 or at http://tickets.uwsp.edu. Tickets may be purchased at the door if available. Proceeds benefit student scholarships.